If you are looking for the Best Residential Carpet Cleaning Specials in Birmingham AL, you are at the right place. 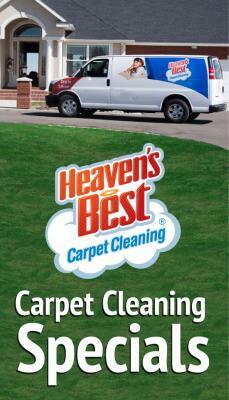 Heaven’s Best Carpet & Upholstery Cleaning has an excellent 3 Room Carpet Cleaning Special. Our 2015 Spring Cleaning Special is only $87.00 for 3 Rooms of Carpet. This special includes everything, which means all of the following is included: Commercial Vacuuming, Pre-Spray and Pre-Spotter, Our Heaven’s Best Unique Carpet Cleaning Solution, and FREE DEODORIZER. This special applies to rooms up to 200 Sq. Ft. each, and we do not charge any extra Service Fees or Taxes with this special. The state of Alabama does not require us to charge sales tax for cleaning services. So, don’t be fooled by other companies that say they will clean 3 Rooms for 69.95 or less. When they come out or you call to inquire, you will find out they charge additional fees or they have a minimum charge, so you are not going to actually pay 69.95. With Heaven’s Best Carpet & Upholstery Cleaning you will get great rates, clear expectations, excellent service and honest work. When we clean for you, we want you to become a lifetime customer. Therefore, we strive to provide the best possible service every time we clean. Along with this great deal, you will not have to wait days or even hours for you carpets to dry. With our low-moisture process, your carpets will be dry in about 1 hour. Don’t wait any longer! Call Heaven’s Best Carpet & Upholstery Cleaning today at (205) 618-9150 for the Best Residential Carpet Cleaning Specials in Birmingham, AL.